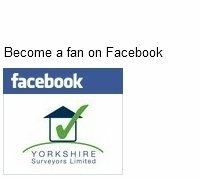 We are pleased to announce that Yorkshire Surveyors Limited became a member of the Allied Surveyors network in the latter part of 2013. 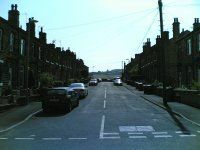 This means that as well as our existing territory in West Yorkshire, we can now offer RICS Homebuyer Surveys in Penistone, Barnsley, Sheffield - in fact all of the "S" postal districts, under the Allied Surveyors brand. We are also offering full structural Building surveys in Barnsley, Penistone and across South Yorkshire. If you require a RICS Homebuyer Survey in Sheffield, Barnsley, Rotherham or Penistone, please give us a call. We will be pleased to quote for you, and do not hesitate to get in touch if you have any questions about the service we can provide you. We are able to undertake redemption valuations fully compliant with the requirements of Target HCA, by RICS Registered Valuers. If you are wanting to redeem your Help To Buy loan and are in the process of selling your house or just want to remortgage and find a better interest rate, we can produce a valuation report for Target HCA to suit your purposes. At the moment there is a great deal of economic uncertainty and we have encountered a number of very cautious purchasers. With good reason. There is of course the ongoing situation with Brexit and competing messages about whether this will hurt the UK economy or provide a golden opportunity for new trading links. Notwithstanding the unique situation that leaving the EU puts the UK into, there is the question of the natural turn of events and the business cycle. The economy goes through phases of steady growth, rapid growth, and then correction, and it is our opinion that this will always be the case. After seven years of growth, can we forecast a downturn in the near future? Should buyers beware of potential house price falls and make doubly sure they are not over-paying on their purchases? We are not economic commentators but we can report what we hear from buyers, vendors and agents. Most areas are still reporting healthy activity. The areas that voted heavily for Brexit are unsurprisingly those areas that are least worried about it. We also see a lot of activity from out of area investors looking for good returns on buy to let property in locations where property is still relatively cheap. How this will pan out over the next couple of years it is hard to predict, but it is a sensible step to make sure you are fully armed with good advice from a reputable surveyor and valuer before you make a large purchase.